The area's first residents, dating to the year 1000, were the Mimbres Indians. The Pueblo people built a flourishing culture in the 1200s, building small towns in the Rio Grande valley and pueblos nearby. The Spanish encountered Pueblo civilization in the 1500s. Word of the pueblos reached Cabeza de Vaca, a Spaniard who survived a shipwreck on the coast of the Gulf of Mexico while wandering across southern New Mexico. Fray Marcos de Niza identified the pueblos as the famed 7 cities of gold. Dispatched from New Spain, conquistador Francisco Vásquez de Coronado led a full-scale expedition to find these cities in 1540. 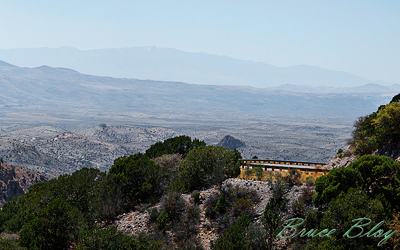 Silver City's history dates to 1870, when the first silver mine was built. It sprang to life as a tent city shortly after John Bullard opened a silver mine. After the boom, the state opened the Normal School in 1895 to train teachers (it's now called Western New Mexico University). Copper is still mined south of Silver City. Billy the Kid's childhood home is also here. Grant County ranges from high desert to high mountains. Temperatures are generally mild with winters typically cool, clear and with occasional snow. In the mountains and in parts of the county above 7,000 feet, snow may persist for several days. Grant County offers many events, festivals and celebrations such as the annual New Year's festivities, the Lighted Christmas Parade and Victorian Christmas Evening. Old west heritage shines through in the annual Rodeo Parade, Billy and Millie Ball and July 4th festivities. The Silver City Museum includes 20,000 objects relating to the people and history of southwest New Mexico. Grant County also offers fly-fishing in our mountain wilderness and off-road motor touring. Pre-school age through graduate study, students in Grant County have a range of opportunities. Western New Mexico University is in the heart of Silver City. The Gila Regional Medical Center is one of the state's newest health care facilities. The community has its origins in mining of silver, turquoise, gold & copper but is now a cultural hub, tourist site and retirement center. 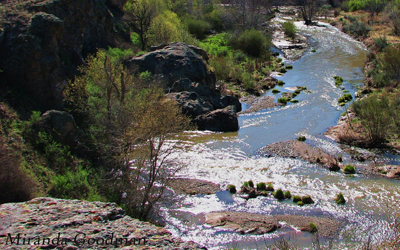 Silver City is adjacent to 3,300,000-acre Gila National Forest. Elevations range from 4,200-10,900 feet. Black bear, mountain lion, elk, deer, antelope, bighorn sheep, wild turkey, bald eagles, peregrine falcon and red-tailed hawk are found here. Grant County also features lakes and streams for trout, smallmouth bass, catfish and more. Silver City is a vibrant community, which has grown into a modern town with friendly people, growing businesses and a terrific year-round climate. Grant County has plenty to do and plenty to see, whatever your tastes: whether it is our world-renown Blues Festival or a quiet weekend in the galleries, there is always a good time to be had in our communities!